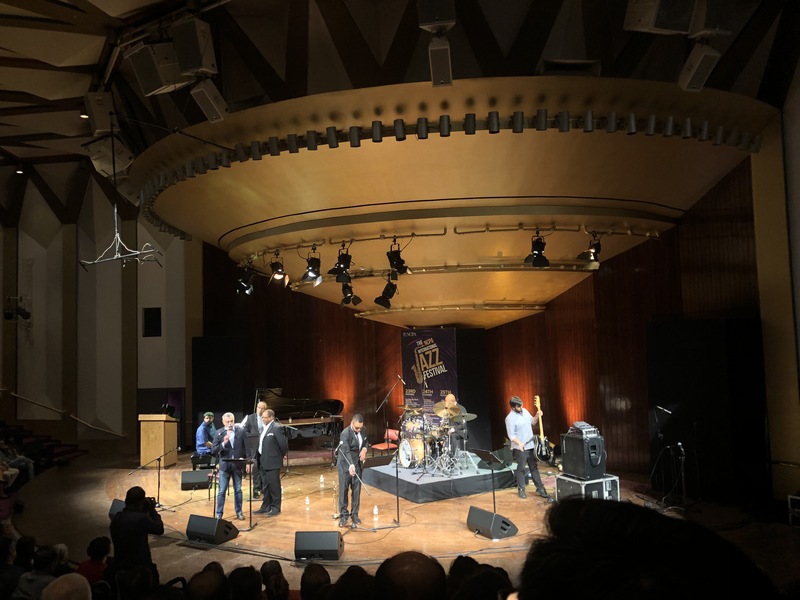 I wrote this post after we attended the 3rd day of the International Jazz Festival at Mumbai’s NCPA last week. The music was great. We met there some of our old friends like Farida Green. It made me feel rather nostalgic. This post depicts lives of old, sensitive and graceful souls of Mumbai who love music. I leave the mystic part the story to your judgement. Mrs. Farzan Chichgar reached the National Centre for Performing Arts (NCPA) at Nariman Point in Mumbai half an hour before the program was to begin. She lived in the Venus Apartment at Cuffe Parade that wasn’t too far. 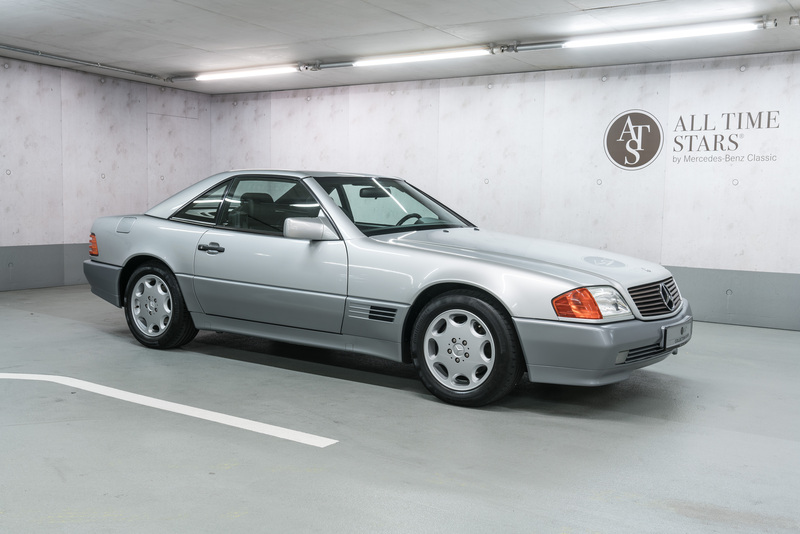 Her driver John drove her in old Mercedes-Benz 300 SL (1993 edition). He dropped her at the main gate and as she got down, the security guard reached to fetch her and help walk up the staircase. Mrs. Farzan was a regular at the concerts at NCPA for years. Who would not remember this kind and graceful personality and the way she dressed and carried herself even at the age of 80? Today she was wearing a dress that was in polka dot white black faux silk satin. Her pair of golden rim spectacles was a trademark. These spectacles were made by Phiroze Dastur of Dadar TT Circle in 1980. Mrs. Farzan walked up slowly and reached the foyer. Her husband Jehangir always reached in just a nick of time before the show, a habit that Mrs Farzan never liked. “Jehangir has simply no sense of time”, Mrs. Farzan often said. She always liked to reach early and have a coffee with her friends. She was happy to see her friend Mrs. Todiwala and reached her. They ordered coffees from the counter. Mrs. Todiwala opened her large purse and brought out a box. The box contained soft “mawa” cakes from the Sassanian – a 105 year old restaurant at Dhobi Talao. 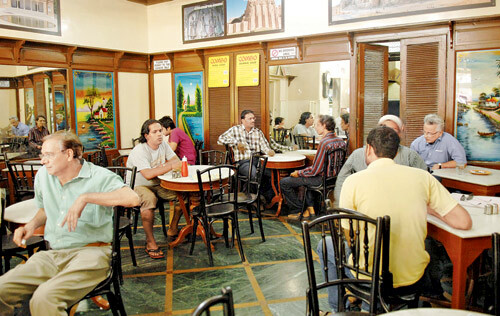 This Irani restaurant was founded by Meheraban in partnership with Sharookh Yezdabadi and serves authentic Parsi food even today. 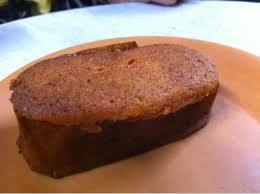 Its famously known for its “mawa” cakes and the “kheema” puffs. “Oh, it’s a great combination to go with this coffee” Mrs. Farzan said while sampling a slice of the mawa cake and thanking Mrs. Todiwala “. Jehangir never understands that there is something like this in life other than music” she said to herself. Jehangir was a pianist. He worked as an accountant at Tata Sons in his entire life. After his retirement he took up as a piano tutor and started coaching young Parsi kids. 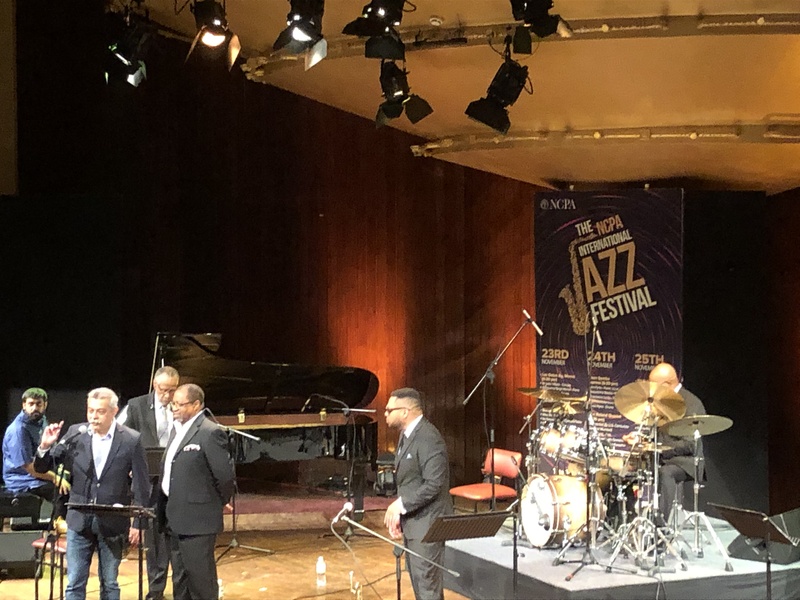 It was the third day of the international Jazz festival featuring MND FLO and the Clifford Brown Legacy Band. MND FLO (Mind Flow) – a New York-based band, was featuring Simon Moullier on vibraphone, Sharik Hasan on piano, Anthony Toth on drums and Alexander Toth on bass. This session was to be followed by the trumpet wizardry of the late, great Clifford Brown band. This band was brought by his grandson, Clifford Brown III featuring Miles Davis’s one-time saxophone player Bennie Maupin along with Rayford Griffin on drums. This was going to be the first tribute to Clifford Brown anywhere outside the United States. Jehangir is going to love these sessions, Mrs. Farzan muttered as she went through the flyers kept on the tables placed in the Foyer. 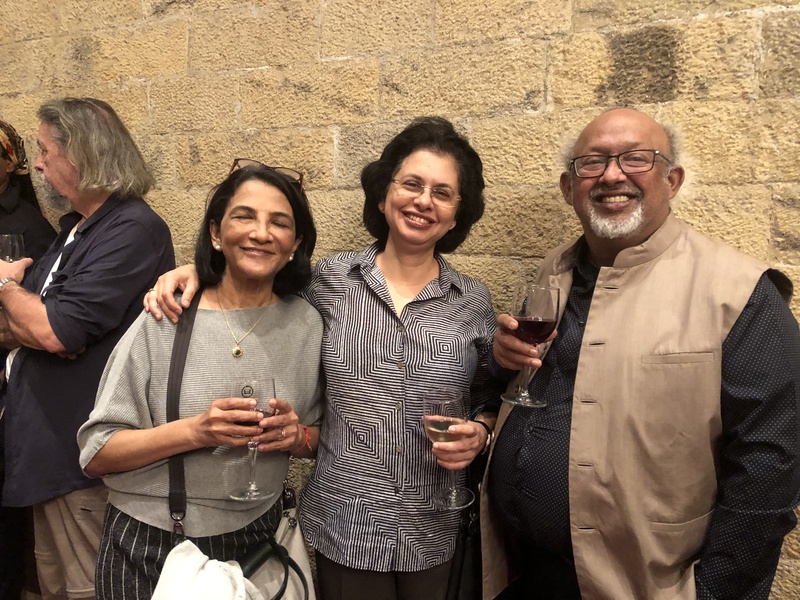 The Foyer was now full with people, mostly coming from Colaba, Cuffe Parade, Malabar Hill and Marine Drive areas – the exclusive crowd of South Mumbai. A large number of the people were NCPA members and probably knew each other. The ambience of NCPA provided a good setting “for saying hi”, “catching up” and to “discuss” a bit of music and more of Indian politics and the scams. Lavender flavor dominated the perfumes. Mrs. Farzan noticed Mrs. Bharucha in the crowd wearing a necklace of large size south pacific pearls. She always shows off – Mrs. Farzan said. And there was Mr Mistry dressed in a black suit standing with his son Ardeshir. Mistry and Mrs. Farzan attended Xavier’s college at the same time. “He still looks so handsome – doesn’t he?” Mrs. Farzan told Mrs. Todiwala. But Mrs. Farzan was not a person of the “networking type” as she had passed this phase decades ago. Her life today was more private. She got into the auditorium and was guided by the doorkeeper to her seat in the B row at the aisle. 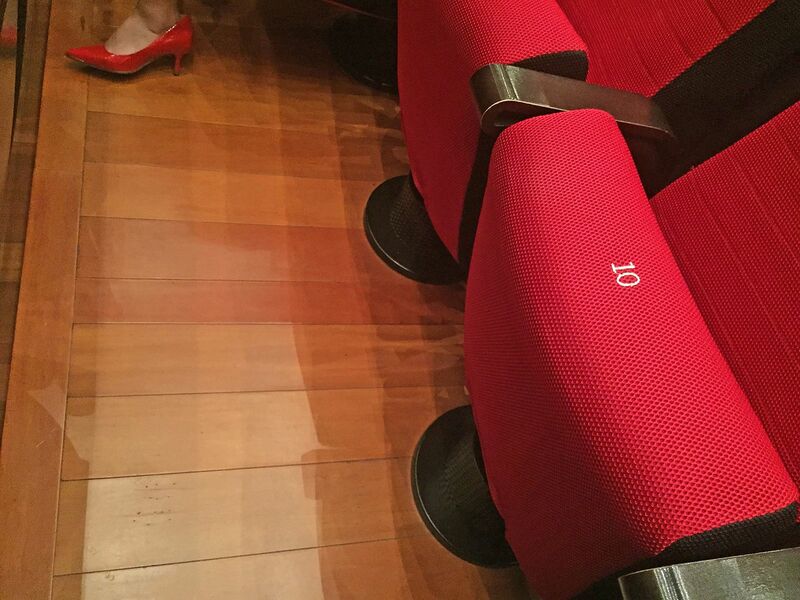 Chichgars always chose seat no’s B9 and B10, and Mrs. Farzan would take seat B9. Jehangir was already there on seat B10. In fact, he was looking around for her. “Thank God Jehangir, this time you are in time” said Mrs. Farzan. “How come I didn’t see you in the Foyer?” She asked, “Sometimes you just appear in the chair as if from nowhere!”. Jehangir smiled and fondly held her hand, his hand was a bit cold. He gave her a light kiss on her cheeks. After their son, Rustom, migrated to California in the United States, the couple lived a bit lonely life in the Venus Apartments. It was good that their old servant Shankar was still around to take care of all the errands. Jehangir would be out the whole day giving piano lessons and going to Freddie- his school friend for an afternoon rum and coke. Mrs. Farzan would spend time keeping the house tidy and clean, experiment different recipes, listen to the jazz of 1960s and make long phone calls to friends. Sometimes in the evenings, the couple would ask John to drive to the Bombay Gymkhana and have an early supper, ending with a parsi pudding. They always chose the foyer that had the wonderful cane furniture made by Biloo Mehta. On every Sunday morning, when Rustom would give a call, both would dress up for the conversation as Rustom used to insist to use Skype on a video mode. Their neighbor’s little daughter Fatima would help them set the Skype on their desktop and even participate in the conversations. The first session by MND FLO was over. Mrs. Farzan was impressed with Simon Moullier on vibraphone. Jehangir whispered “Did you know that this is the first time a vibraphone is played in the NCPA”. Jehangir always had some interesting information to share. Although she didn’t mean, she must have spoken a bit loudly. NCPA is very strict when it comes to “so called whispering” and “flashing of the mobile phones”. The doorkeeper promptly moved to row B with his torchlight to “silence” the person. When he beamed his torchlight, he noticed Mrs. Farzan sitting on B9. “Its usual Prakash, its Mrs. Farzan once again. The old Parsi lady who books an extra seat B10 that always remains empty.